Meet your reporting requirements under the Affordable Care Act (ACA). Use to report employees who are covered under your health plan. 1 Filing per sheet. Shrinkwrapped in packs of 25. 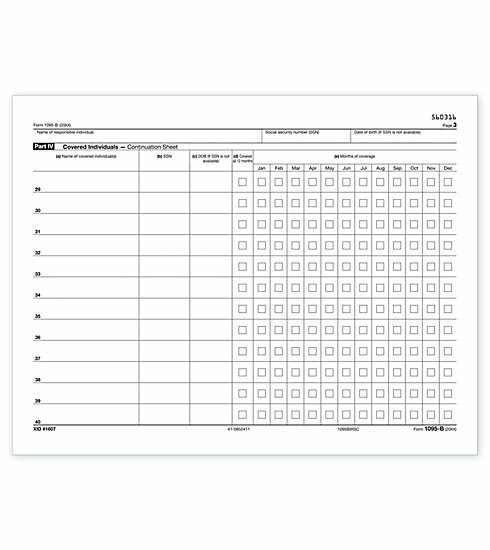 Report to IRS in mandated landscape format. Continuation form is used in addition to 1095B, when an employee has more than 6 dependents.